We are devoted to excellence, we are Custom . We present the best and all new wheels on the market. The wheels that will last and give you the advantage of being carefully « designed to win.» We offer wheels that not only withstand our roads, but which meet durability, reliability and performance, day after day. WHAT IS TORUS TECHNOLOGY ? The TORUS technology developed for our AKS series is sharing the same rim bed as SYNC rim, made with a different process but with the same quality in mind. 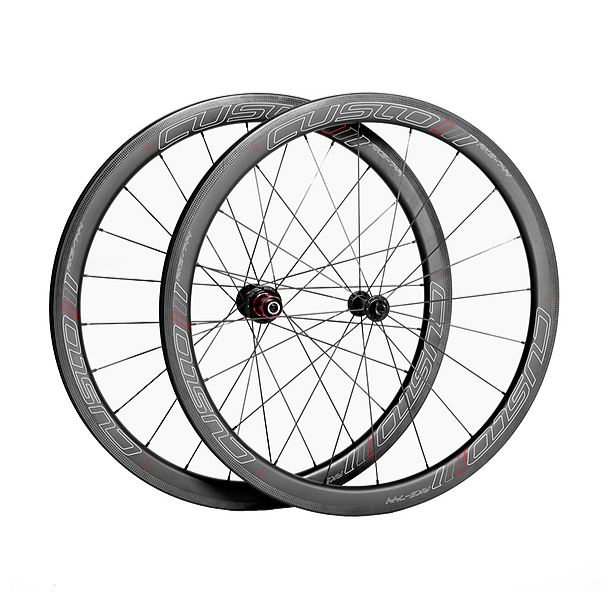 TORUS Technology is a single piece toroidal shape that matches the rim size and profile. The fiber is placed and shaped into the mold. A single piece rim of preformed carbon fiber is laid out and processed to achieve a perfect, precise and durable quality rim. AKS SERIE OFFERS UNIQUE PRODUCTION QUALITY AND IS DESIGNED WITH OUR EXCLUSIVE TORUS TECHNOLOGY. THIS WHEEL WILL MAKE YOU FASTER THAN EVER BEFORE.